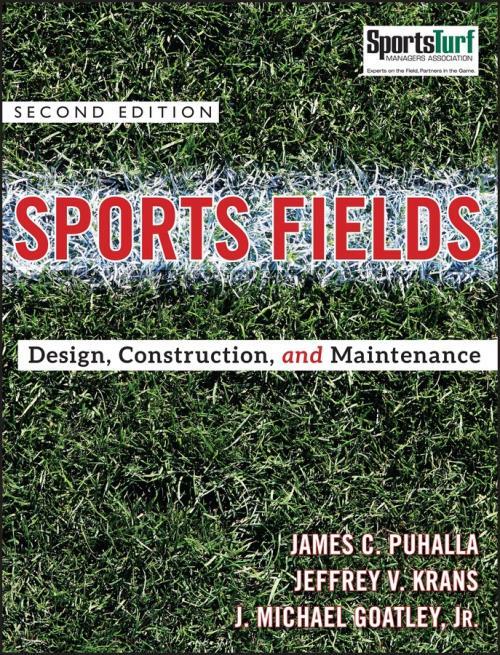 A versatile how–to guide, Sports Fields, Second Edition suggests solutions to common field problems that are not only helpful for professional sports turf practitioners, but also for park and recreation professionals, school athletic field managers, architects, landscape architects, and engineers. Chapter after chapter delivers on the promise of imparting well–grounded principles that can be applied to create athletic fields that are long–lasting, visually dazzling and eminently playable. Part I Principles of Sports Turf Culture. Using the Two Map System to Select Turfgrass. Chapter 2 Soils and Soil Science. Soil as a Medium for Turfgrass. Chapter 3 Fertility and Fertilizers. General Principles of Turfgrass Irrigation. Advantages and Disadvantages of Thatch in Sports Turf. Maintaining a Managed Thatch Layer. Aerating for Optimum Turf Responses. Chapter 9 Turfgrass Stresses and Remedies. Chapter 10 Wise Use of Chemicals. The Label is the Law. Chapter 11 Organic Field Management. Principles and Concepts of Organic Field Management. History and Materialization of Organic Field Management. Making the Mental Adjustment to Organic Field Management. Public Relations and Visibility of Organic Field Management. Timing and Site Conditions for Organic Field Management. Principles of Sports Turf Culture for Organic Field Management. Compost Applications on Sports Fields. Part II Natural Turfgrass Sports Fields. Chapter 12 Baseball and Softball Fields. Chapter 14 Soccer, Lacrosse, and Field Hockey Fields. Part III Other Sports Surfaces. Chapter 16 Track and Field Facilities. Choosing the Right Manufacturer and Installer. Using Surveying Equipment to Determine Elevations. Interpreting the Contour (Grading) Plan. Chapter 19 Sand and Sand–Based Fields. Critical Considerations in Sand–Based Growing Media. Practical Considerations for Sand–Based Fields. Chapter 20 Paints and Covers. Chapter 21 Field Quality and Evaluation. Components of a Quality Field. Ball and Player Response as Affected by Surface Characteristics. Chapter 22 Environmental Stewardship, Resource Conservation, and Sustainability.